As I continue my social work education, feminism remains a central perspective. The word feminism may seem difficult to conceptualize. 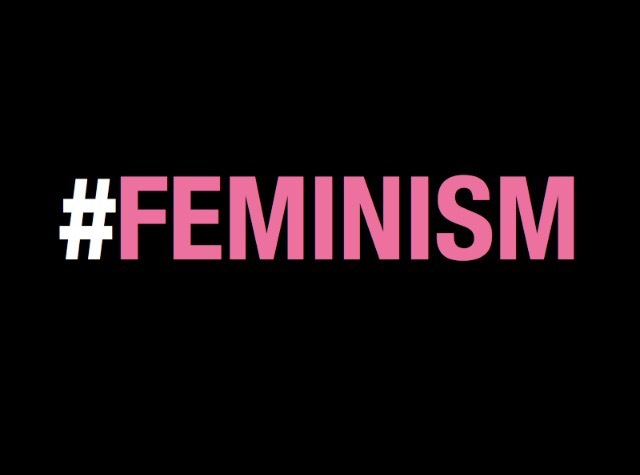 Feminism is this: advocacy for women’s rights. Women’s rights have come a long way, but gender inequality still exists. The quest for women’s rights continues. Concepts like body-shaming and pay inequality still exist. Today, I’ll share my perspective on why we still need to keep the feminist conversation alive in 2017. In our society, we teach women to prevent assault. Why don’t we teach not to assault women? Our bodies are still legislated and engendered. The idea that women and men don’t need equal pay is ingrained in our society. The wage gap between women and men remains.The pay gap stands at about 21%. Until this wage gap closes, we will need feminism. Until pay between men and women is equal for the same job, and amount of work done, we need feminism. This has become a product of our culture. We blame women for the the circumstances they find themselves in; whether it be cat-calling, or abuse. This is an ingrained aggression in our society. More discussions about the inherent objectification in these behaviours must occur. What is your opinion on the relevance of feminism? Eyeshadow primer helps shadow remain crease-free once on the lid. My eyeshadow tends to flake when I blink. Before buying this product, I often substituted concealer for primer. I bought Too Faced Shadow Insurance Eyeshadow Primer during Sephora’s VIB sale. This product is a mess-free alternative to using concealer as primer. This primer comes in a squeeze tube with a nozzle on the end. It is lightweight, and durable for travel. The print on the package is simplistic and elegant. You should shake the tube before dispensing the product, as it tends to separate. 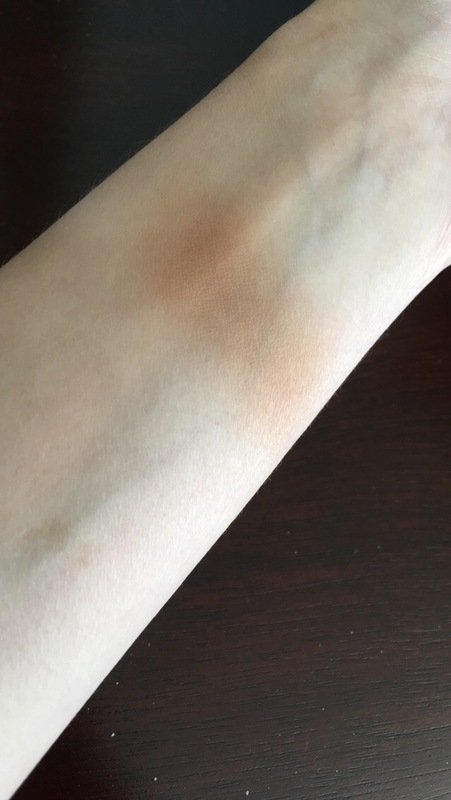 Too Faced Shadow Insurance is beige, with a non-greasy formula. It blends into the lid to create a blank slate for shadow application. The best method for use is to blend it into the lid with your fingertip. Using primer increases the longevity and vibrance of the eyeshadow colours I use. A tiny dot of product covers my entire lid. 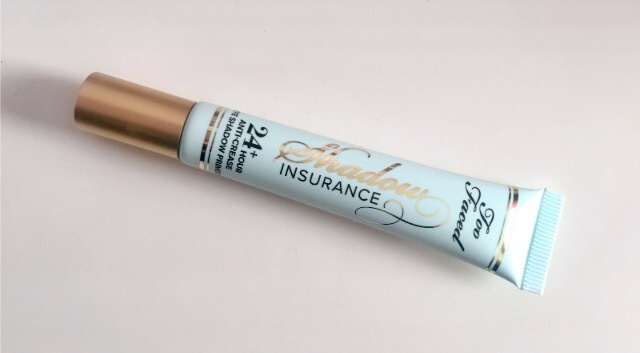 Too Faced Shadow Insurance retails for $24 at Sephora. Sometimes it’s difficult to justify spending too much money in one place. It’s a scenario that you may be all too familiar with – you fill your shopping basket with cosmetics and skin care essentials, then your heart pounds as you see your total. I’ve been there, and I hope you find this post useful! Today I share tips to help you save money at Sephora. Sephora’s loyalty program operates on a tiered system. The three levels are: Beauty Insider, VIB and VIB Rouge. Each tier offers different perks.Upon becoming a Beauty Insider, you earn 1 point for every dollar spent. These points may be redeemed for product samples. Virtually every purchase will come with one, or more, samples. Trying sample sizes of products is a great way to test a new product without purchasing it full-sized. These samples not only save you money, but they offer convenience when traveling. The sales section of Sephora’s website offers a selection of available products, and changes frequently. Waiting for a specific item to hit the sale section will save you hard-earned cash. If you shop at Sephora often, and have found ways to save money, I’d love o hear your tips! 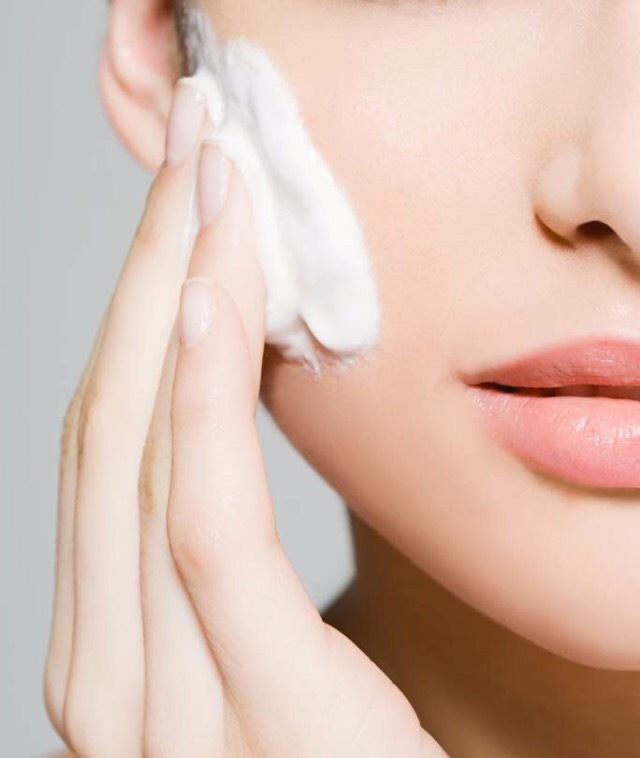 I previously wrote about my daily skin care routine. As part of my New Years Resolutions, I decided to refine my daily routine. I have modified some of the steps in my routine, and added new products. The core steps in my routine include: Cleansing, exfoliating, and brightening. I cleanse my face with Noxzema anti-blemish pads to banish any imperfections. I follow this step with moisturizer. My skin tends to be drier in the winter. To overcome this dryness, I switched my moisturizer to Tarte Rainforest of the Sea Drink of H2O Hydrating Boost moisturizer. This formula is lightweight and non-irritating. I remove all makeup with a gentle, cleansing makeup remover wipe. I often switch between makeup remover wipes and Clinique’s Take the Day Off Cleansing Balm. Anybody who knows me will know that I’m Casper-pale, especially during the winter. I often brighten my complexion with highlight powder, blush, or bronzer. I received Benefit’s Hoola Bronzer as a Christmas present. I’ve used it regularly to enhance my complexion. 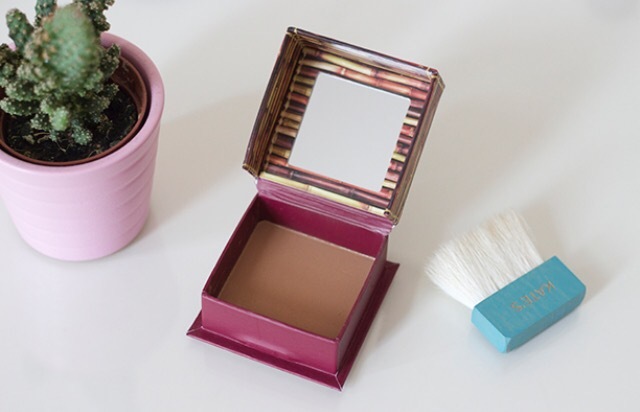 The bronzer is in compact-style package. One side of the container holds the bronzer palette. A small brush fits into the top side of the container. The package design features bamboo and a deep pink colour. The Hoola bronzer is available in a single colour. The product is matte, and pigmented. The pigmentation of the bronzer is strong. If you have paler skin, like me, I suggest blotting the brush on a tissue after dipping it into the container. This lets you build the colour, and tap off any excess. The colour is soft, and adds a bronzed, golden colour to the skin. Benefit Cosmetics Hoola Matte Bronzer retails for $36 from Sephora. Using a highlighting powder is a way to add glow and radiance to your skin. Some of you may wonder – what exactly is highlight, and what does it do? Highlighter is a product available in compact or stick format. You apply it to high points of the face (like the cheeks, and forehead) to give skin a natural-looking glow. I recently expanded my cosmetics collection to include a highlighting powder. It brightens my skin, which often becomes dreary in winter. In today’s post, I’ll share tips to help you choose, and use, a highlighter. Applying highlight to these three areas draws attention to the high-points of your face. Makeup can sometimes create shadows underneath the eyes. Applying highlight in this same area brightens the skin. It draws attention away from any dark areas. After applying highlight, blend it into the skin with a brush or makeup sponge to buff any edges. Blending will integrate the highlight into your skin, and create a crease-free base. If you’re looking for an all-over glow, mix your highlight into a few drops of moisturizer. This is best achieved with a liquid highlighter. Once mixed together, you can apply the formula to your entire face. Your skin tone is helpful in determining the best highlighter shade. If your skin tone is pale-light, a pearl or champagne-coloured highlight is best. The light pigment adds a subtle radiance to your complexion. For those of you with medium-to-olive skin tones, highlighters with a peachy or gold undertone will prevent skin from appearing too frosty. Rose gold or bronze shades work best for darker skin tones. These shades offer pigment, without appearing grey-toned. What are your top tips for using highlight? I’d love to hear about them in the comments below! I often discuss self-care and its importance here on my blog. I engage in self-care often, as I continue my education. I find it especially useful during the winter season, when the weather is cold, dark, and dreary. In today’s blog post, I’ll discuss the self-care rituals I engage in on a regular basis. I also share ones I’ve discovered that may be useful to you, too, during this season. Winter is the prime season for an increase in SAD (or Seasonal Affective Disorder). This is a seasonal depression that results from the changing seasons. A lack of sunlight can attribute to sluggishness and a general moody feeling, also. To compensate for increased darkness in the winter, I light candles throughout the house. I often light a lavender-scented candle in my office while writing and studying. Drawing a nightly bath is helpful for many reasons. It relieves stress, detoxifies and helps relieve colds/sinus infections. These conditions which often up during the winter season. A soothing bath can include anything from bubbles to a bath bomb. Keep my skin hydrated – I hydrate from the inside-out to keep my skin soft and supple. I supplement my water consumption with skin-loving products like Tarte Rainforest of the Sea Drink of H20 Hydrating Boost Moisturizer. It’s easy to get swept up in the bustle of the season. The winter season can bring pressure and expectations. That’s why it’s never a bad idea to take a step back from your to-do lists and projects to rest and rejuvenate. How do you engage in self-care during the winter season?